Heralded as one of the most innovative Realtors in the Chicagoland area, John Oertel's career is one laden with accomplishments. 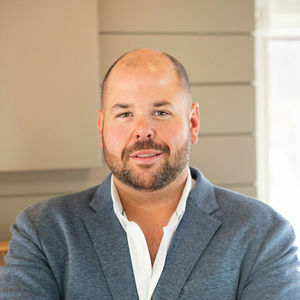 In 2009, after stepping away from a seven-year stint in the mortgage industry, Oertel made a name for himself early on, standing out as the Chicago Association of Realtors' Rookie of the Year. He's been recognized as one of the association's top producers every year since, and is certified as a continuing education instructor. Oertel is quick to attribute his success to a long-established penchant for working until the job is done – something apparent if you've ever heard his motto, "Hard work pays off!" – but his record tells a story not just of dedication to his clients, but also compassion. When Oertel first stepped away from mortgages, joining Compass and forming The Oertel Group, he vowed to "tackle the distressed market head-on," and co-founded Home Solutions as a means to an end. After five years, the organization has helped hundreds of families avoid foreclosure. Early success helped elevate Oertel's career and ultimately led to the expansion of his client base, which now includes luxury and international buyers and sellers, as well as investors and developers. Oertel said that the amount of business in Chicago lets him focus on challenging himself, rather than his fellow agents, adding, "thinking creatively, working hard and being innovative have been the keys to my success." The challenges Oertel faces today are the unique ones hidden in the minutiae of individual listings. "No matter what the situation is, I always find a way to give my client what they want," he says. "Regardless of the transaction, whether representing a buyer or seller, you can bet I'm going to get my client exactly what they are looking for."